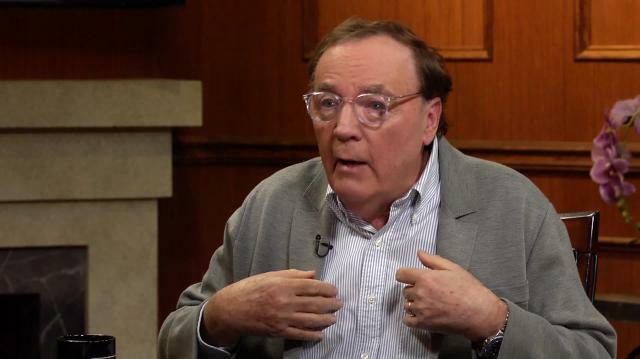 James Patterson reflects on his first entry on the New York Times bestseller list, and witnessing a woman steal one of his novels from a bookstore. Larry King: What book turned it for you? What was your first hit book? James Patterson: Uh, the first hits for me were the Alex Crosses. Larry King: That burst out, right? James Patterson: Yeah. Yeah, yeah, yeah. Yeah, it was, you know, it's funny the way the publisher didn't say. And all of a sudden I pick up the New York Times and it was #6 on the New York Times list, and I'm going, 'This is crazy, my books don't sell like that!' So I went to the local bookstore, a Barnes and Noble. And I'm in there, and what we writers will do is we'll count the books. 'Ok, there used to be 12. Oh, there's only eight now!' So the thing, it does seem to be selling. Larry King: I know the bit. James Patterson: So then, while I'm standing there, this woman picks up the book. Now, if we're in an airport, or whatever, and you pick up a book, we're watching you. Even at my level, you put it down, it breaks our heart. You buy it, we love it. So I'm watching this woman. She picks up the book, she starts to walk down the aisle, she slides it into her pocketbook. She stole the book. And all I'm thinking is, 'Does that count as a sale?' You know?